Got Pulled Over by the MMDA? What to Do? Home » Car Insurance » Car Tips » MMDA » MoneyMax » Tips » Got Pulled Over by the MMDA? What to Do? In a perfect world, car owners wouldn’t need to worry about dealing with aggressive or corrupt traffic enforcers every time they hit the road. Instead of having to worry about hefty fines or bribes, they would just allocate their major expenses towards motoring essentials like gas, maintenance, parking, toll fees, or car insurance premiums and call it a day. Sadly the Philippines is nowhere near a perfect world, especially for people who drive. Getting pulled over by an MMDA officer can go from hassle to nightmare real fast. While common sense dictates that you should simply obey traffic rules to avoid these predicaments, sometimes the odds work against your favor despite your best precautions. PrepareManila.org has a step-by-step guide on how best to conduct yourself when stopped by an officer. Take note of certain actions your apprehending officer should do, such as clearly stating your violation and issuing a Traffic Violation Receipt (TVR), instead of taking your license right away. Also, pay attention to your surroundings, especially if you get involved in a road accident. In addition to keeping your wits, you must also maintain your composure. While it may be tempting for you to get angry in the face of a traffic violation, this will cost you in the long run. Keeping a level head and sticking to the facts supports your credibility, especially whenever witnesses are involved. Knowing and understanding the law is possibly your best weapon against an abusive officer. The MMDA’s official website has posted an FAQ of what enforcers can and cannot do once they pull you over, along with a breakdown of common traffic violations and their respective fines. You may also need to know the proper procedure for contesting a traffic violation ticket just in case. If an enforcer demands a bribe (kotong) from you, one tactic you can try is asking for their written mission order. This outlines details such as the enforcer’s area of responsibility and authority to issue tickets, and motorists are within their rights to demand this. Acts that fall outside an enforcer’s mission order (such as demanding bribes) can subject them to disciplinary action. Whether the offense you’re being stopped for is legitimate or not, it always helps to get the name of the officer who pulled you over and—this is important—which agency they report to. 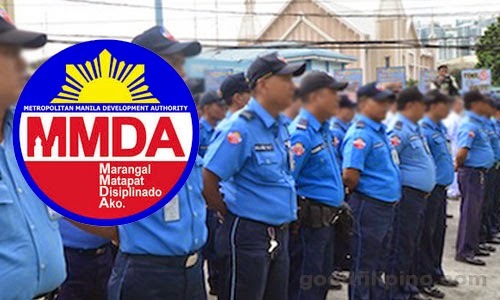 A common mistake many motorists make is confusing MMDA officials with traffic enforcers from the LTO, the local government, or (in the case of privately-owned areas like Bonifacio Global City) hired security. Distinctions like these matter, because some enforcers might get carried away and start doing things they’re not legally allowed to do such as confiscate your license, record you on video, or demand a bribe on the spot. To make things worse, you may also encounter people impersonating MMDA enforcers, so having a camera on hand can also be helpful in case they don’t cooperate. Just got out of a very bad experience with a traffic enforcer? Before you raise a stink on social media, make sure you go through official channels first. To report an incident directly to the MMDA, you can call their hotline at 136 or email them at email@mmda.gov.ph. Want to stay on top of the current events shaking up the Philippines? Keep on exploring GoodFilipino for more helpful updates on what’s going on in the country right now. Comments or suggestions about "Got Pulled Over by the MMDA? What to Do?" is important to us, you may share it by using the comment box below.